Embark on an adventure across different worlds as you find and save all the Electoons in this fun side-scrolling platformer classic - Rayman! Rayman is a classic side-scrolling platformer video game released for the Atari Jaguar gaming console back in the year 1995. 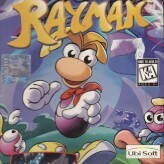 The game focuses around the main character, Rayman as he goes on a rescue mission traveling around six (6) vast worlds. Travel the Dream Forest full of terrors, the musical Band Land, the breathtaking Blue Mountains, The artsy Picture City, the mysterious Caves of Skops, and Mr. Dark's Candy Château. Immerse yourself on each world's own unique theme. Your main quest is to free all the 6 captured Electoons, there's one hidden inside each world. Find them all, and have fun! Rayman is an online JAGUAR game that you can play at Emulator Online. This free Atari Jaguar game is the United States of America region version for the USA. Rayman is a single title from the many platform games, arcade games and rayman games offered for this console. If you enjoyed playing this, then you can find similar games in the jaguar games category. Rayman game is from the various retro games on the site, and there are more games like this, including Rayman 2: The Great Escape, Rayman 2 - The Great Escape and Rayman 3 - Hoodlum Havoc.